Really good tires. They will give you the confidence to push your bike up to your level of skill. 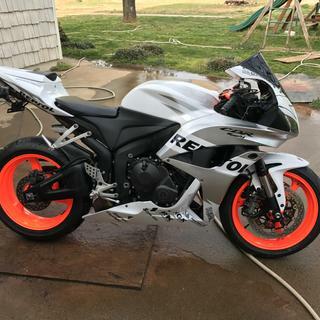 Along with the current set, I have run them for 3 consecutive years on my ZX10R. Canyon ride and track ride, there is no problem with them. I roughly switch them out around 2500 - 2700 miles. 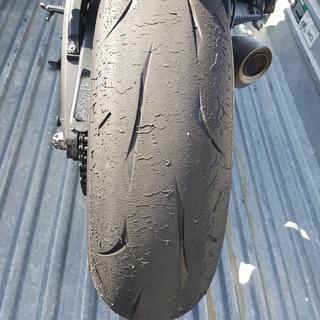 Great Track day tire paired with a matching rear tire. After a day on the track at Laguna Seca, front looks great. Expect to get several more track days out of the set before I have to replace. 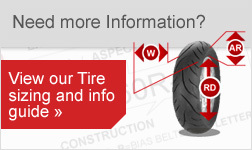 You can’t get tires at near this price point that are any better. 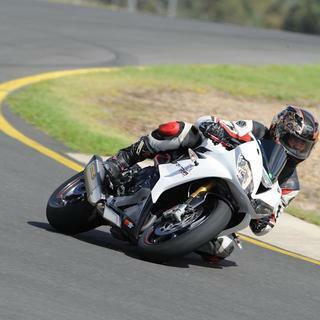 I use them for track days with a zx10, just as good as anything else. If it can handle a pinned throttle dealing out 180+ horsepower I’m sure it can handle most anything. If I rode street there wouldn’t be a question as to what I would use, this is THE do it all tire. Good sticky tire for both street and track. Very good tire for track and street. Realize this was derived from the track R10 tire and only added grooves to be road legal. 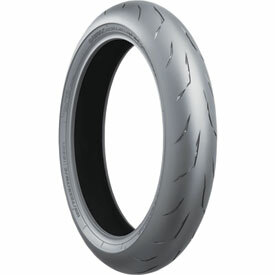 This means it is a pure soft 1 compound tire which gives you great grip straight up, partial lean and dragging knee. This also means the mikeage life is low. On my 14 ZX-10R I get between 2,500 to 3,000 miles out of the rear and about 6,000 out if the front. Love these tires absolulty amazing !!! Heat up quick and great traction ! Will never run anything else ! Very sticky tire. Been a q3 fan for a while now but for the price I told myself let's try it out. And I like it it's soft but sticky. Just what I want for the streets and occ track day. Would have given 5 stars but the rear only lasted me 1000 miles up in the mountains. Very sticky tire. <br>Very confident inspiring on the street. Front tire lasted me around 4k miles. Great grip, Great feel, Great price! Heats up quick, Soft and wear is about the same as my previous Q3 front but has better traction. I have a Q3 on rear did this on purpose I like the stiff carcass great for sliding on my 990 SMR, Very happy with this combo !